MacX DVD Ripper Pro is designed for Mac users to rip both homemade and protected DVDs and convert to different video formats. Rip encrypted DVDs, convert among HD and general video, make perfect 1:1 copy to hard drive or USB, download YouTube video, create VOB from videos to burn, and so on. Excellent tool to backup all your DVD collections and video files to Mac computer, iPhone, iPod, iPad, PSP, etc. 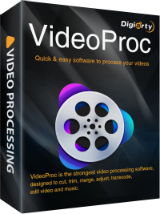 It owns powerful capabilities to convert HD video including MKV, M2TS, AVCHD, H.264/MPEG-4 AVC, and SD video AVI, MPEG, MP4, H.264, MOV, FLV, F4V, RM, RMVB, WebM, Google TV, etc, to Mac computer, iMovie, iTunes, iPhone 4, iPhone 3GS, iPad, iPod touch 4, iPod classic, iPod nano, Apple TV, PSP, etc. As a handy free DVD converter for Mac, it allows you to free rip and convert DVD to all popular video & audio formats on Mac OS, including, MP4, MOV, FLV, MPEG, iTunes video, MP3 music. Rip DVD with fastest speed and excellent output quality. This free Mac video converter helps you convert among all HD (High-definition) videos such as MKV, AVCHD, H.264/AVC and SD (Standard-definition) video formats like AVI, MPEG, WMV, MP4, FLV, F4V, RM, RMVB, WebM, Google TV, etc for playback on Mac and any familiar portable devices. A media player compatible with any type of device. Mix tracks, record audio sets, apply sound effects and filters. Play movies in popular formats with subtitles. my friend just tried to install the mac ripper, but the code is invalid. is someone else having the problem? my friend just tried to install the mac ripper, but the code is invalid. is someone else having the problem? Perhaps you should have a mac.giveawayoftheday.com site just for the Apple users. Of course, it'd probably be like the game.giveawayoftheday.com site in that many times there wouldn't be any free software...but maybe you could manage to get one a week or something. I don't own a Mac, but it seems like it would be a good idea to have a separate subdomain for Mac stuff. I read recently that about 7% of all computer users own a Mac, so you'd probably find a following. By the way, kudos for also running a PC giveaway at the same time, even if it is a repeat. It was a nice touch that it's basically the equivalent software to what you're giving away for the Mac. Perhaps you should have a mac.giveawayoftheday.com site just for the Apple users. Of course, it'd probably be like the game.giveawayoftheday.com site in that many times there wouldn't be any free software...but maybe you could manage to get one a week or something. I don't own a Mac, but it seems like it would be a good idea to have a separate subdomain for Mac stuff. I read recently that about 7% of all computer users own a Mac, so you'd probably find a following. By the way, kudos for also running a PC giveaway at the same time, even if it is a repeat. It was a nice touch that it's basically the equivalent software to what you're giving away for the Mac. At last something for the poor, neglected Mac users. . . but, er, they never show up here, do they? Why do I get the feeling this offering will not draw a happy crowd?
. At last something for the poor, neglected Mac users. . . but, er, they never show up here, do they? (After all, 99% of the stuff offered here is for PCs only.) Why do I get the feeling this offering will not draw a happy crowd? :-) . When GAOTD last gave away the WinX DVD Ripper program, I downloaded & installed it. It told me that it was fully registered. I opened the program a cpl days ago & was told the code was invalid & if I wanted to BUY the program then it would work as it should. I loaded it on top of the old WinX Platinum that I had & now I have NOTHING. Thanks so much for all your Free Stuff. I sometimes wonder WHY I'm cheap enuf to come here for an upgrade that takes out BOTH versions. Dang it. When GAOTD last gave away the WinX DVD Ripper program, I downloaded &amp; installed it. It told me that it was fully registered. I opened the program a cpl days ago &amp; was told the code was invalid &amp; if I wanted to BUY the program then it would work as it should. I loaded it on top of the old WinX Platinum that I had &amp; now I have NOTHING. Thanks so much for all your Free Stuff. I sometimes wonder WHY I'm cheap enuf to come here for an upgrade that takes out BOTH versions. Dang it.